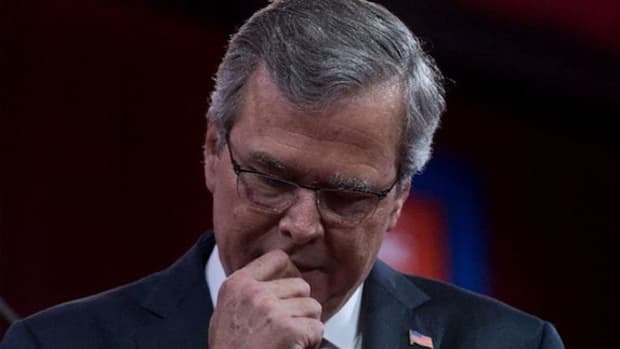 As we watch Jeb Bush disintegrate as a political entity, we watch his party suffer the same fate -- a fitting end to two decrepit dynasties that have survived well passed their sell by date. 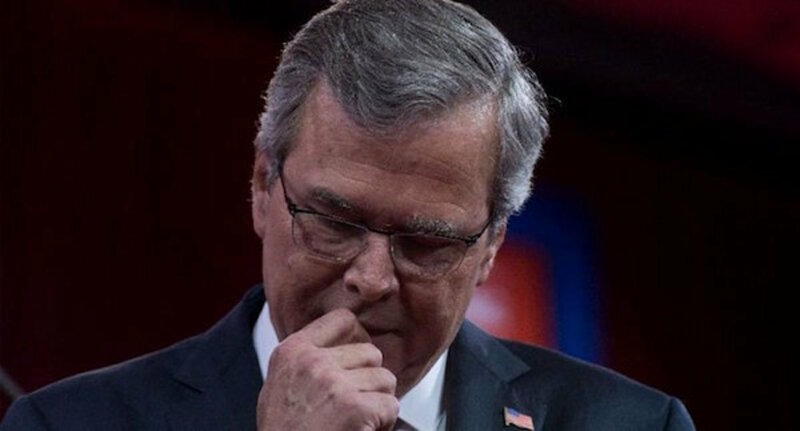 It is hard to know whether to feel sorry for the hapless Jeb Bush, who cannot gain any traction in this presidential campaign whatsoever. 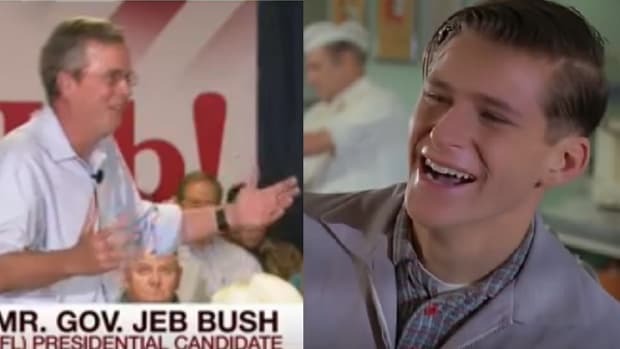 Bush is the one mainstream Republican candidate who isn&apos;t completely insane, and if successful in the primaries, would pull the party back to the center and give it a slight chance of winning against a Democrat. 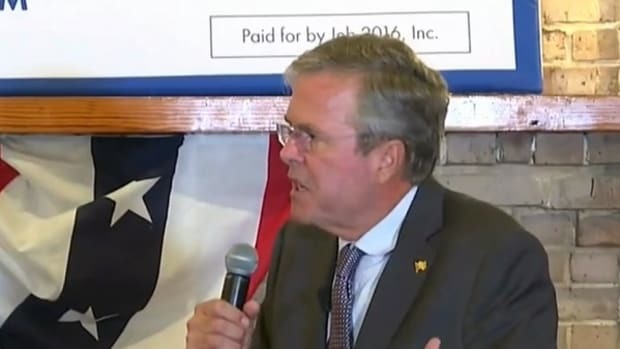 But that won&apos;t happen because Jeb Bush&apos;s campaign is in complete free fall. His popularity among Republicans is now so bad, his poll numbers are actually in the negative. 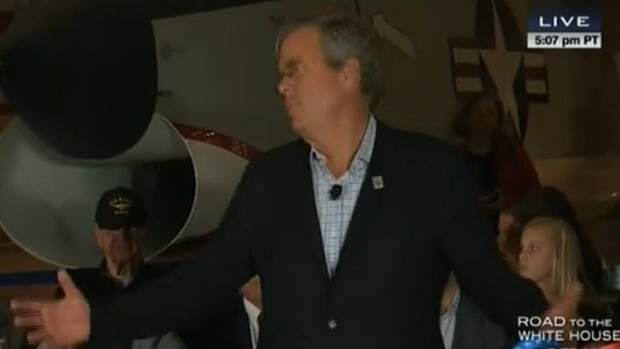 The latest Gallup Poll has Bush moving from a +27 in July of last year to a -1 for December 2015 and January 2016. 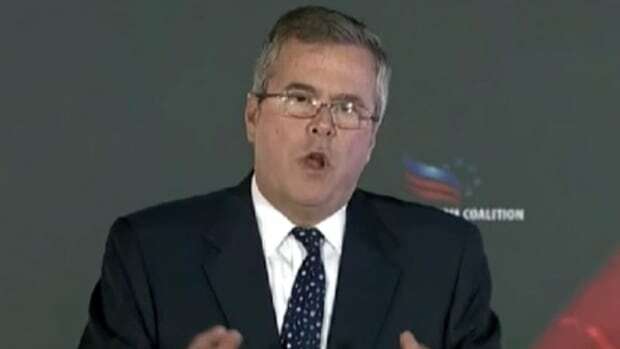 The latest New Hampshire poll has Donald Trump soaring into the lead with 32%, while Jeb Bush is at a pathetic 4% -- numbers so awful it is amazing anyone is left working for him. Bush&apos;s numbers are not necessarily a reflection of his inadequacies as a candidate -- Bush is no worse than many a grey faced, corporate stooges before him. Compared to Mitt Romney, Bush is positively dynamic -- and he at least comes across as believing what he says. But we are living in a new era where the majority of Republican candidates and voters are completely insane -- an era predicted with precision three years ago in a report by two prominent Democratic strategists. This is a deeply divided base. Moderates are a quarter of those who identify Re- publican, and they are very conscious of their discomfort with other parts of the party base. Their distance begins with social issues, like gay marriage and homosexuality, but it is also evident on immigration and climate change. Fiscal conservatives feel isolated in the party. Republicans shutdown the government to defund or delay Obamacare. This goes to the heart of Republican base thinking about the essential political battle. They think they face a victorious Democratic Party that is intent on expanding government to increase dependency and therefore electoral support. It starts with food stamps and unemployment benefits; expands further if you legalize the illegals; but insuring the uninsured dramatically grows those de- pendent on government. They believe this is an electoral strategy—not just a political ideology or economic philosophy. If Obamacare happens, the Republican Party may be lost, in their view. And while few explicitly talk about Obama in racial terms, the base supporters are very conscious of being white in a country with growing minorities. Their party is losing to a Democratic Party of big government whose goal is to expand programs that mainly benefit minorities. Race remains very much alive in the politics of the Republican Party. This huge divide has set the stage for one of the most ludicrous GOP primary in the party&apos;s history. Out of nowhere, Donald Trump swooped into the widening political vacuum and began bullying and belittling the other candidates, activating every part of the base other than the moderates with his virulent racism and xenophobia. According to the polls, Trump leads a majority of Republican voters, but this coalition is not enough to win the general election. Moderates Republicans are unlikely to vote for Trump should he win, and will either switch party or abstain from voting. Carville and Greenberg astutely predicted that Republican extremism would isolate the party from the general electorate, and even from many of its own members. 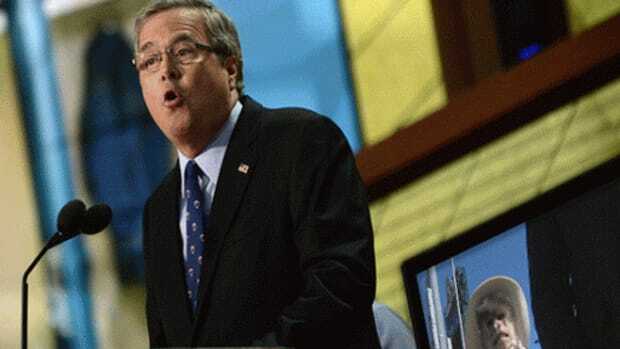 Jeb Bush is one of the last viable moderates in the party, and given his numbers are nothing short of catastrophic, there is little prospect of him rescuing his party from Donald Trump. It may well be the case that Trump falls flat on his face when Republicans actually vote in the primaries, but the truth remains that the party cannot win without his supporters. 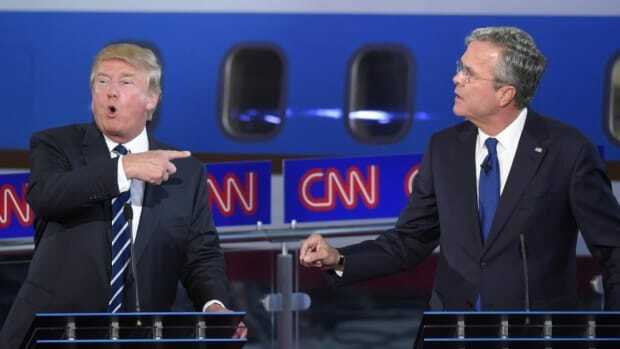 There isn&apos;t a chance in hell Marco Rubio is going to pick up the anti-Latin crowd Trump has so excited, and given Jeb Bush&apos;s numbers, he has no chance of getting through the primaries anyway. 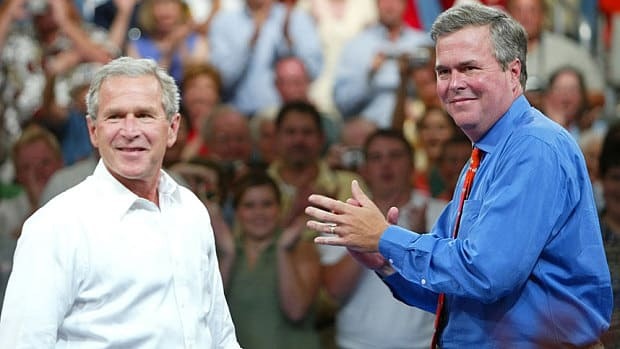 So as we watch Jeb Bush disintegrate as a political entity, we watch his party suffer the same fate -- a fitting end to two decrepit dynasties that have survived well passed their sell by date.